We are all used to having technology being the focal point of our lives by now but tech innovators are gradually changing the landscape. Even young kids are adept at using the computer and most smart gadgets. Sadly, though, the environment suffers as we live a life of comfort and convenience. Pollution is a major issue as well as climate change and global warming. And we are not just talking about one type of pollution but on every form possible. And with an exploding population, our carbon footprint further increases as our demand for technology and resources continue to grow. However, innovation is still possible without endangering the environm ent in the process with the help of a clean and safe green technology. We can continue to embrace the many wonders of technology and at the same time protect Mother Nature. Green tech is energy-efficient and generates less harmful wastes than when using regular technology. Although it is not yet available to the masses, there have been significant developments in this field that addresses waste management, water purification, and alternative sources of renewable energy. A nasal filter that can ease breathing problems, a three-wheeler running on hydrogen, and cement that has a lower polluting effect, all have a common target: protect our precarious environment from further degradation. Scientists at Indian Institute of Technology (IIT) Delhi are experimenting with new technologies, ecosensitive devices and mapping pollutants to make our environment and ecological habitats sustainable. The experiments, besides weaving a multi-disciplinary apparatus, have also boo sted the industry-academic collaborations. “We have seen a drastic change in the environment in the last few years and, if not checked, this can be detrimental. While policy formulation will be done at the government level, there is an urgent need for academic institutions to scientifically analyse the data emanating from the atmosphere and provide the right unbiased inputs to the government,” IIT-Delhi director V Ramgopal Rao says. Green tech is still a new technology but you can see it being used in both small and large-scale industries. The tech industry is undoubtedly the biggest industry today with all the technologies running our lives and society in general. Unfortunately, we can all feel the strain of climate change and our fast depleting natural resources that encouraged concerned individuals to harness green technology for the betterment of everyone. Going green does not necessarily have to cost you a fortune. It can start with a simple gesture like turning off the lights and air-conditioner when they are not in use. According to Centre for Environment, Technology and Development Malaysia (Cetdem) executive director Anthony Tan Kee Huat, not all green initiatives or technologies are costly. “One of the most powerful tools are our fingers. With our fingers, we have the power to switch off the lights or any electrical appliances not being used. “It does not cost anything. In fact, you gain more by saving and cutting your electricity bills,” Tan told FMT after attending the European Climate Diplomacy Week forum at Taylor’s University yesterday. Others often think of alternative energy as the ones used in electric or hybrid cars. Well, they aren’t entirely mistaken but there is still a long list of ways of going green without putting a dent on your finances or going the extra mile. No need to totally revamp your home and your way of life because of your desire to do your part in saving the world. Let us all be friends with the environment because it has given so much to us over the years. It’s the least we can do for all the irreversible damage we have done. 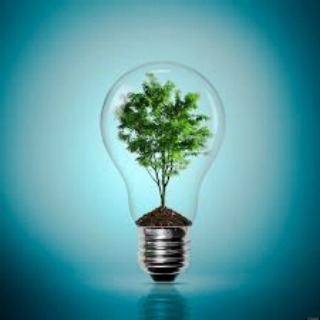 It would also help if the government takes an active part in promoting green technology. They can start by passing legislations that address green technology and forcing the public to embrace it in their lives. We need to take this initiative seriously because we are running out of time. The planet is in a terrible shape right now and we should all do our part in protecting what’s left of it before it leads us to our ultimate doom.